This satin cape is edged with binding and has a velcro closure at the collar. 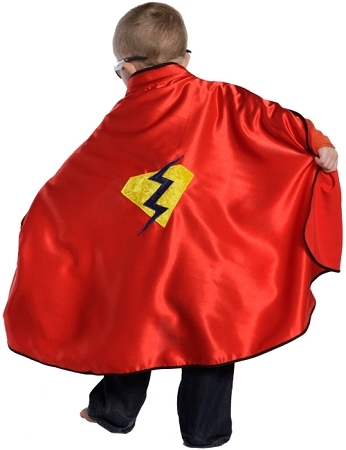 A lightning emblem on back of these capes makes them perfect for any adventure. Boys favorite!